By Ruth J. Silverstein, Allen Pomerantz Ph.D. and Heywood Wald Ph.D. Known for many years as Barron's Easy Way Series, the new editions of these popular self-teaching titles are now Barron's E-Z Series. Brand-new cover designs reflect all new page layouts, which feature extensive two-color treatment, a fresh, modern typeface, and more graphic material than ever-- charts, graphs, diagrams, instructive line illustrations, and where appropriate, amusing cartoons. Meanwhile, the quality of the books' contents remains at least as high as ever. Barron's E-Z books are self-help manuals focused to improve students' grades in a wide variety of academic and practical subjects. For most subjects, the level of difficulty ranges between high school and college-101 standards. Although primarily designed as self-teaching manuals, these books are also preferred by many teachers as classroom supplements--and for some courses, as main textbooks. E-Z books review their subjects in detail, and feature both short quizzes and longer tests with answers to help students gauge their learning progress. Subject heads and key phrases are set in a second color as an easy reference aid. 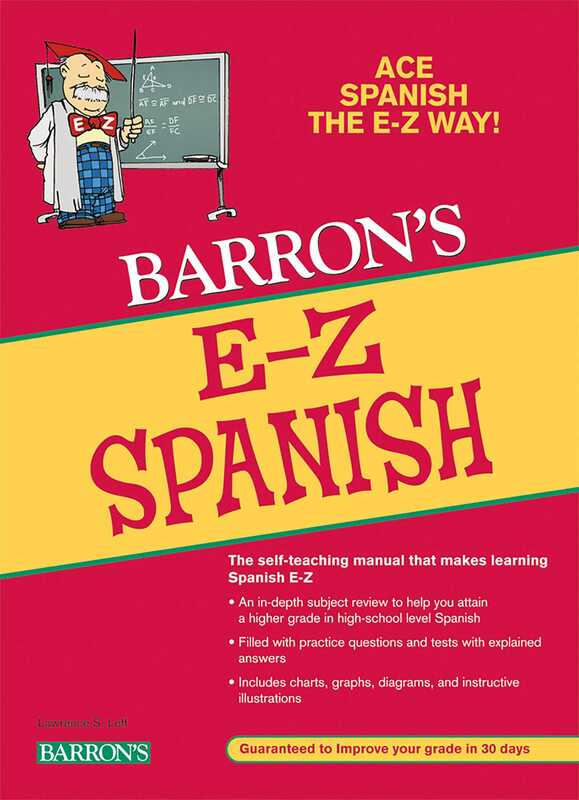 Barron's heavily revised and updated E-Z Spanish presents a beginner's introduction to speaking, understanding, and writing in Spanish, with emphasis on oral proficiency. All stories and exercises have been modernized.